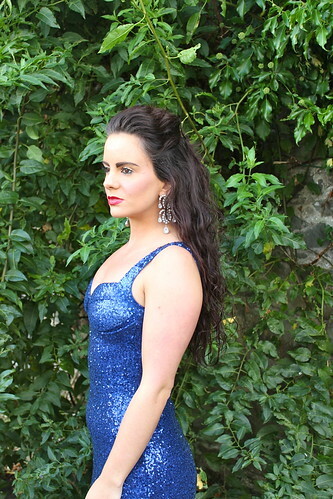 This blue sequin dress really stood out to me on the site. I thought it would be the perfect party dress for the Christmas season so I just had to have it. I then chose these funky red stiletto heels to add a colour block effect which I complimented with red lips. This dress is definitely one to bring out your flamboyant side and is guaranteed to turn heads when you walk into a room! If you like the look of this or any of the other styles I have shown you, be sure to check out iclothing.ie. You will definitely find something to suit and all at exceptionally reasonable prices.